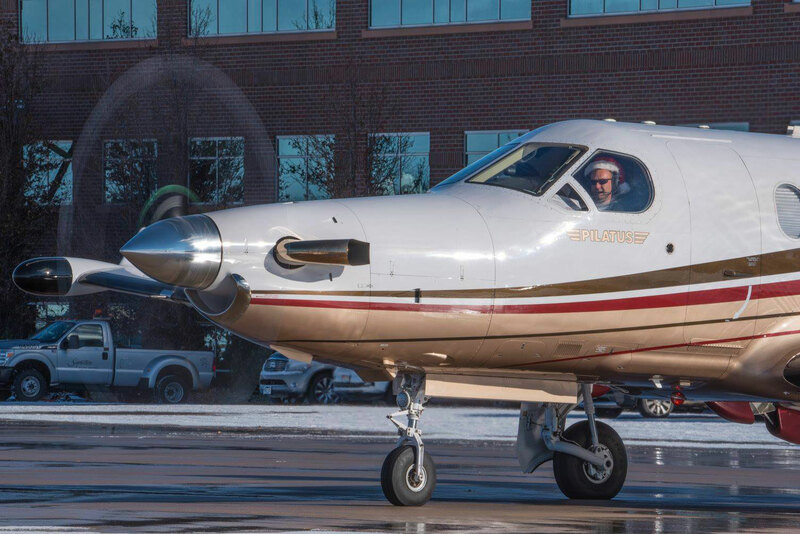 A Pilatus PC-12 was one of several aircraft used in Colorado Business Aviation Association's annual food and toy drive. The Colorado Aviation Business Association (CABA) recently brought in record donations for its sixth annual food and toy drive. CABA, in partnership with the Colorado Veterans of Foreign Wars (VFW), delivered 10,000 pounds of goods to veterans and their families across Colorado. CABA used aircraft donated for the annual operation, which was carried out on December 11. CABA and VFW collected and transported the donations to Signature Flight Support at Centennial Airport outside Denver. The donations were then loaded onto aircraft destined for Burlington, Las Animas, Pueblo, Alamosa and Montrose. The Precision Flight Team of Metropolitan State University of Denver participated in the airlift. Several business and private aircraft also were donated for the operation, including an AeroColorado Pilatus PC-12. The drive has resulted in more than 23,000 pounds of food delivered to Colorado veterans over the past five years. In addition to celebrating the record airlift, CABA this month honored long-time Jeppesen CEO Mark Van Tine, who recently retired. Van Tine was recognized during CABA’s annual holiday party, which is the organization’s primary fundraiser for the VFW drive and airlift. A number of industry leaders paid tribute and Gov. John Hickenlooper issued a proclamation in honor of Van Tine.